The world has been used for centuries to the phenomenon of individual migration, e.g. to the movements of individuals across the borders of countries as well as broader cultural, civilizational and religious regions or areas. It used to be a nuisance or a complication at most, sometimes an enrichment. Such migration has only very rarely become a fundamental destabilizing problem for countries which became the chosen destination of migrants. We live in a different world now. We are confronted not just with the old, well-known phenomenon of individual migration but with a conceptually different mass migration. This is something else, not only quantitatively. Many politicians and their fellow travellers in the media and in the academy either do not understand this difference or pretend not to. They try to deal with mass migration as if it was the case of individual migration, which it is not. I am not an expert on migration, I am an economist, perhaps a social scientist, and until recently – for more than a quarter century – a politician. I have never migrated, I just travelled abroad. Due to it, I know more about Europe than about the rest of the world and have to concentrate on Europe in my today´s remarks. Everything indicates that the new phenomenon of mass migration is more or less a universal one. Europe only makes it – due to its peculiar institutional arrangements – much easier. The current mass migration into Europe we experience has been caused by several factors. We shouldn´t forget the ongoing globalization processes – starting with the information revolution (the most frequent photo in Europe these days is a Syrian or Iraqi refugee in a boat reaching one of the Greek islands – which means Europe – with the latest model of the most expensive smart phone in his hands) and ending with the revolution in speed and costs of transportation. These two factors contribute to the current scale of migration but they are – in my understanding – not the most important ones. I also do not think that the situation in the countries from which the migrants are coming just now is much worse than in the past. I consider much more important the radical shift in ideas, and, especially, the widespread acceptance of social arrangements based on the – until very recently non-existent – role of claims or entitlements as means of supporting or even securing the life of an individual or a family. As a consequence of it, people in many unsuccessful, poor and underdeveloped, broken, non-democratic, ungoverned or chaotic countries got the feeling that they have a right to migrate, to depart to more successful, rich, developed, orderly functioning, democratic countries offering generous social benefits to the newcomers. This change has been based on a totally misconceived interpretation of human rights, on the ideology of humanrightism which is one of the new modern collectivistic and illiberal “isms”. It sent out a wrong signal. We should stress, however, that there does not exist any general unconditional right to migrate – especially not a right to migrate in. To say that is politically incorrect these days, but I am convinced it is correct politically. That is not all. This is just the supply-side of the whole story. The supply of migrants itself cannot bring about migration. To make mass migration possible, there needs to be also a demand-side. I dare argue that the demand side in this case, in the current migration wave, also exists. 4. Finally, these processes led to the reappearance of old dreams about creating a new Europe and a new European man, someone who would be entirely deprived of his/her roots in individual nation-states. Migrants are believed to become the ideal input in the pan-European society, hence, the more of them, the better. I don´t suggest that this intention has been openly and explicitly formulated by one or another European politician, but this thinking has become – implicitly – a driving force behind the current migration deadlock. This is just a short outline of my way of looking at the current European migration problem, just an abstract, not a fully developed argumentation. More about it can be found in my recent booklet published in Czech in December 2015, in German at the end of May 2016. English and French versions are under preparation. The title “Stěhování národů” in Czech was translated as “Völkerwanderung” in German, “Migration des peoples” in French, “Europe all inclusive” in English. 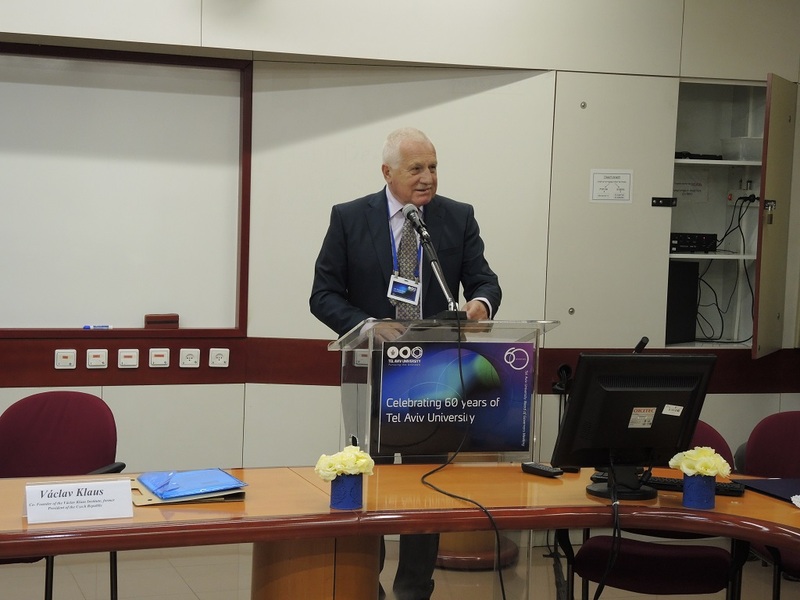 Václav Klaus, University of Tel Aviv, Israel, May 19, 2016.